It is with regret that Fire District 3 announces the passing of Fire Commissioner Richard Deleissegues. 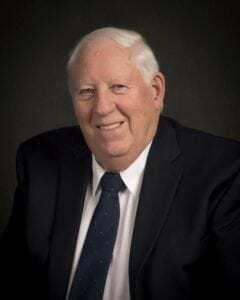 Commissioner Deleissegues passed away at his home in Hockinson on Sun., Sept. 9, 2018. Deleissegues graduated from the University of Nevada in 1959. He spent two and a half years on active duty with the US Army (and another 26 years in the Army Reserve), serving as Lieutenant Colonel before retiring. He was employed by the US Forest Service for more than 30 years. He worked in the Modoc, Angeles, Shasta-Trinity and San Bernardino National Forests in California; the Washington DC National Headquarters; Montana; and then back to San Francisco, California where he retired as Director of Engineering for the Region (California and Hawaii) in 1994. He moved to Vancouver, Washington in 1994 and to Hockinson in 1995. While in the Forest Service, he served in the fire organization. He continued his community service by becoming a Fire Commissioner for Fire District 3 on Jan. 1, 2000. He had a strong admiration and respect for all of the men and women who serve in fire and emergency response organizations and was proud to work with them. He also served on the Clark County Planning Commission. Richard was married to Becky and they have two grown children. Melissa, and Richard, who both live in California with their families.